Plant stem cells are currently being hailed as a revolutionary addition to the cosmetics and beauty industry due to the potential abilities to regenerate collagen, and help with skin being toned, bright, and wrinkle-free. On one hand, this sounds like it could become the be-all-end-all when it comes to keep skin looking as good as possible. On the other, it sounds like it might be too good to be true. 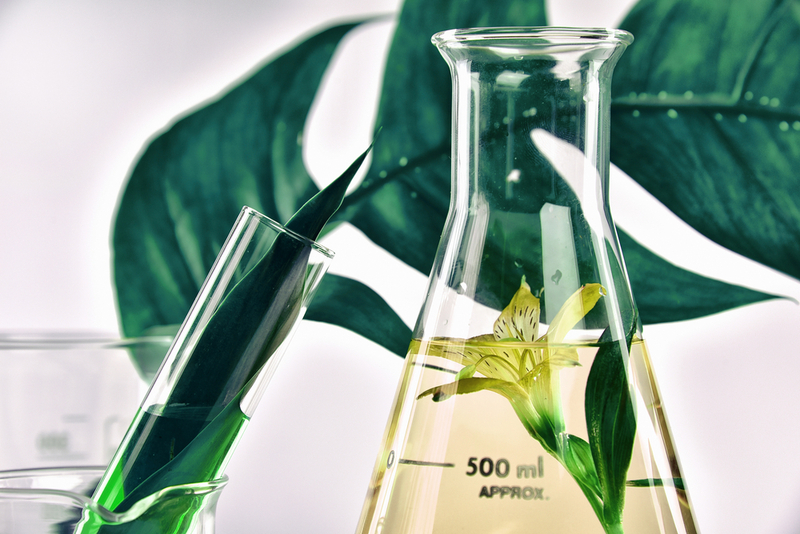 If you didn’t read our previous article on using plant stem cells in the beauty industry, here’s a quick recap: the science behind the plant stem cells is still in its earliest stages, so nothing can be confirmed without further research. In the meantime, it doesn’t hurt to try to learn a bit about the types of plants that are actively involved in the process. This research is indeed taking place, but this has not stopped beauty and cosmetics companies from developing product using plant stem cells. We’ve decided to delve into some of the more common plant stem cell extracts found throughout the products in the cosmetics and skincare industry. Choosing products with plant stem cell extracts won’t harm you or your skin, and having a better understanding of some of these ingredients might give you a better idea of what these fancy plant stem cells are all about. Already well-versed and looking for a new plant stem cell-based product to add to your skincare lineup? Check out SSLA Lifestyle’s Anti Aging Skincare System, formulated with their signature tri stem-cell complex. The system, consisting of a moisturizer and a serum, helps brighten skin while reducing the appearance of fine lines and wrinkles. The first of the three ingredients often associated with being used for plant stem cell related skincare is Actinidia Chinensis, aka Kiwi Fruit Extract. The fruit extract contains vitamins A, C, E, and K along with potassium, calcium, iron, and copper as well as many other beneficial vitamins and minerals. Common in organic skin care it is no surprise to see kiwi fruit extract being used in the plant stem cell journey. The properties of the extract have qualities that can be very beneficial to the cause. For example, kiwi fruit extract can help skin retain its firmness. The vitamin C found in kiwi extract is also considered rather water soluble, making it form collagen very easily. Collagen, as we know, is very important when it comes to maintaining bright, tight, and wrinkle-free skin. The vitamins in the fruit also help for soft skin, especially if the fruit extract is found in your cleanser. A final piece of information as to why kiwi fruit extract might be commonly used for its stem cells in regard to skincare and beauty is the fact that it contains actinidin. Actinidin is an enzyme that can help with the dissolution of dead skin cells that may accumulate over time. This is why using products with kiwi fruit extract stem cells, or just the kiwi fruit extract naturally, can leave you with skin that is soft and smooth! The second ingredient most frequently associated with plant stem cell skincare and beauty products is Mallus Domestica Fruit Cell Culture Extract. This might sound rather intimidating, but we promise it isn’t. In more simple terms, this ingredient includes the stem cells based on those that come from a particular (and rare) Swiss apple. The apple, whose official name is Uttwiler Spätlauber, is an endangered variety of apple known for its ability to be stored for long periods of time without shriveling. It even dates back to the 18th century and nearly went extinct. This shows its longevity potential, and rounds out one of the reasons it’s commonly used. It can be considered one of the most pioneering fruit stem cells used for skin care purposes, as it said that mallus domestica fruit cell culture extract can not only protect the skin’s own stem cells but can exhibit age-delaying and anti-wrinkle properties. We won’t know for sure until more research on the extract and plant stem cells in general has been conducted, but adding a serum or moisturizer with the extract in it can’t do you any harm in the meantime. The final plant we’ll discuss that is often associated with skincare involving plant stem cells is lesser known in the beauty industry. Hydrolyzed Pea Protein is a hydrolysate of pea protein derived by acid or enzyme, as well as the potential for other methods of hydrolysis. For those who don’t know, hydrolysis is the chemical breakdown of a compound do to it’s exposure and reaction to water. Before it's infusion into the skincare world, hydrolyzed pea protein was often found in treatments for damaged hair, including shampoos and conditioners as well as hair masks and other products. The hydrolyzed aspect of the pea protein is the most important part, as hydrolyzed proteins have different molecular weights than regular proteins. It is these varying molecular weights that can lead to the improvement of elasticity and firmness in skin if the hydrolyzed pea protein is present in the plant stem cell based skincare you’re using. It also has moisturizing properties, which is one of the main reasons it was previously being used in hair-related products. Having a better understanding of the ingredients in the products you are applying to your skin will not only give you knowledge when it comes to choosing more products down the line, but give you the tools to decide what you do (or don’t) want out of your skincare. While the research behind the scientific benefits of plant stem cell extracts and their place in the skincare world is still being studied, there’s nothing wrong with trying something new! Swap your usual serum for one with any or all of the ingredients we covered above and see if you notice a difference in the consistency of your skin. There’s no question that plant stem cell based skincare is here to stay, so find ways to incorporate it into your routine today.